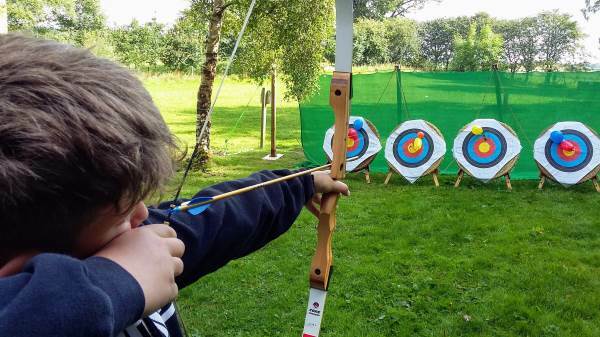 Check out our upcoming archery events at Talkin Adventures, and book your place online today. A range of awesome adventure days where you can take part in a number of inspiring outdoor activities. From Easter to October, bring the family to hire a boat during the weekend and school holidays. Boat Hire & Golf will re-open on 30th March 2019. Please contact us to arrange activity and event bookings. Scheduled events available to book here. Your Talkin AWESOME Adventure starts here! Check out our event listings for School Holiday Activities for 8-14 year olds. Scroll down for more on Boat Hire, Woodland Golf, Archery for all ages (8+) and group activities for schools, businesses, hen parties and any other group! Join us at Talkin Adventures, our activity base at Talkin Tarn Country Park, for outdoor activities in Cumbria. Situated just 20 minutes from Carlisle, with good links to Hexham, Newcastle and Penrith, with great facilities on site for your activity day or family day out. Activities available to book at Talkin Tarn include Archery, Canoeing, Kayaking, Orienteering, Raft Building and the Treasure Chest. With lots of things to do as a family, head on over to our base at Talkin Tarn Country Park, near Carlisle, for a fun day out. In addition to boat hire at Talkin Tarn, we have mini-golf in the woods and a comprehensive range of outdoor activity packages. Our adventure company rivals any activities in the lake district with some superb on-site facilities such as the Talkin Tarn Cafe and Tea Rooms with their delicious handmade cakes, lunches and gift shop. There is good accessibility for people with limited mobility, with wheelchair friendly footpaths around the lake. For those who enjoy watersports there are hot showers and changing rooms… just in case. Stay for coffee and cake and take a stroll along the 1.3 mile wheelchair friendly path around the Tarn. Talkin Adventures provide friendly, professional instructors to guide you and your group during an introduction to water sports, archery and team building activities. Contact us to arrange a bespoke activity package for your birthday parties, corporate events, school adventure days or hen and stag do. Come and see us at our activity base at Talkin Adventures, Talkin Tarn Country Park, Brampton. Just a short drive from Carlisle and only half an hour from Hexham, we are your family adventure destination along Hadrian’s Wall and the A69, just minutes from a World Heritage Site in the North Pennines. There is plenty of parking available on-site costing just £2.25 for a full day, giving you plenty of time to explore the woodlands, take out a boat and have a spot of lunch or cake. From Easter to October, bring the family to hire a boat during the weekend and school holidays. Boat hire at Talkin Tarn is open from 12-4pm, with a range of boats available including rowing boats, canoes and sit on top kayaks, each boat costing £10 per half hour. 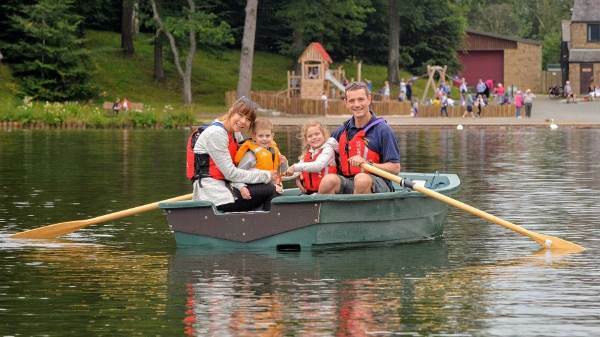 Children are welcome to row or paddle our boats, under adult supervision. We insist that under 14s are accompanied by an adult whilst on the water and all participants will wear a buoyancy aid. There’s no need to book for boat hire, just turn up. If the wind is too high for us to safely operate boat hire then we’ll pop a note on our Facebook page. You’re welcome to give us a call during opening hours on 01697 508295 or send us an email just to make sure. Check out our events listing, outlining Talkin Tarn activities from archery to raft building. 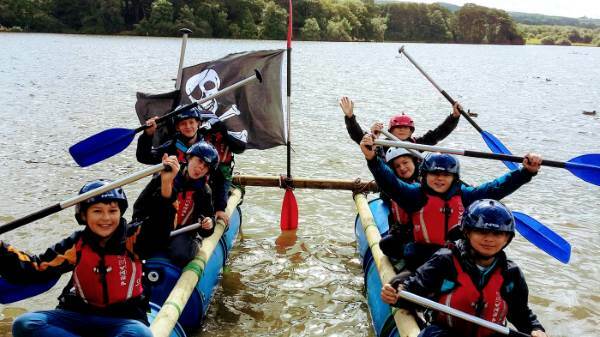 Activities are available by prior booking for groups, and individual taster days and adventure day camps are scheduled throughout the year, making for some brilliant activity days in the North West. Throughout the year, we organise lots of things to do near Carlisle. Individual places are available on our archery sessions most months, and we arrange Adventure Day Camps as a school holiday club. Keep the kids entertained during the school holidays by booking them onto one or more of our day camps. Our experienced instructor team will take care of your children (ages 9-14) from the moment you drop them off until you pick them up later in the day. Please contact us in advance to book these activities for your event, the perfect addition to any Hen and Stag Do, Team Building event or ideal alternative to a school residential. Benefit from the outdoor experience that you would gain from staying at an activity centre without the cost, stress and commitment of an overnight stay. Pop along when we’re open or get in touch today to arrange a tailor-made, cumbria activities package.